In the beginning of 2015, like many years, I set a list of goals for myself. I find that it's a good way to be mindful of some things that I want to work towards accomplishing. Some of these goals were realized, at least in part, some were thought about, mulled over, but none were completely abandoned. The list isn't made to be a worry or a task, it's really just a way for me to keep in mind things that I would like to do, ways that I would like to improve myself. Here is the original post from 2015. Work on Creative Endeavors as Much as Work - I have to make my art and sewing a priority in my life and not let working at my job be the only or most urgent thing that drives me. Although this goal doesn't have any distinct posts, I did try to work on it. I hope to carry this over to 2016. Sewing/Blogging - More sewing and more blogging about it! I want to work on my online shop. I must do one market, or fair. One could say this entire blog should make it on this list. Take Better Care of My Health and the Health of My Family/Take Better Care of the House - In all the hustle and bustle of work and life this is something I often forget to pay close attention to. I want to always be striving to make a better house for my family and plants and keep us in good health. I think I made good strives in this direction, especially when the time came to move and adjust to a new environment. There are some areas that are lacking (exercise!! ), but hopefully there can be addressed in 2016. Stay in Touch with My Friends - I'm fairly antisocial by nature, but I love my friends and care to make them feel appreciated. This goal also doesn't have specific posts, but I felt I made good headway on this, even to the point of sending out holiday cards! Use Up, Don't Buy - I need to reduce all things in my life and and make better use of the things I keep. This goal was a great way to keep in mind a lifestyle I aim for. Wardrobe Makeover - One thing I have far too many of are clothes. I must make my wardrobe more manageable and stop buying clothes! Travel when Possible - Always more exploring to be done. Read More - I can only remember reading three books last year (2014). Pitiful. Move Out of the City - It's time. Some of these goals will carry over to 2016, some may not. I feel confident that I at least touched on every goal in 2015. I hope to achieve the same mindfulness in 2016. Please, please share your 2015 goal recaps, or 2016 goal lists in the comments!! I am always grateful to be inspired by your posts! Finish Along Q4 Goals + Q3 "Finishes". So, while I've technically missed the cut-off to join the 4th quarter of the Finish Along a long time ago, I still plan to follow through until the end. First the Q3 recap! 1. Finish quilting, bind, and label Quilt for Grandma Doris. 2. 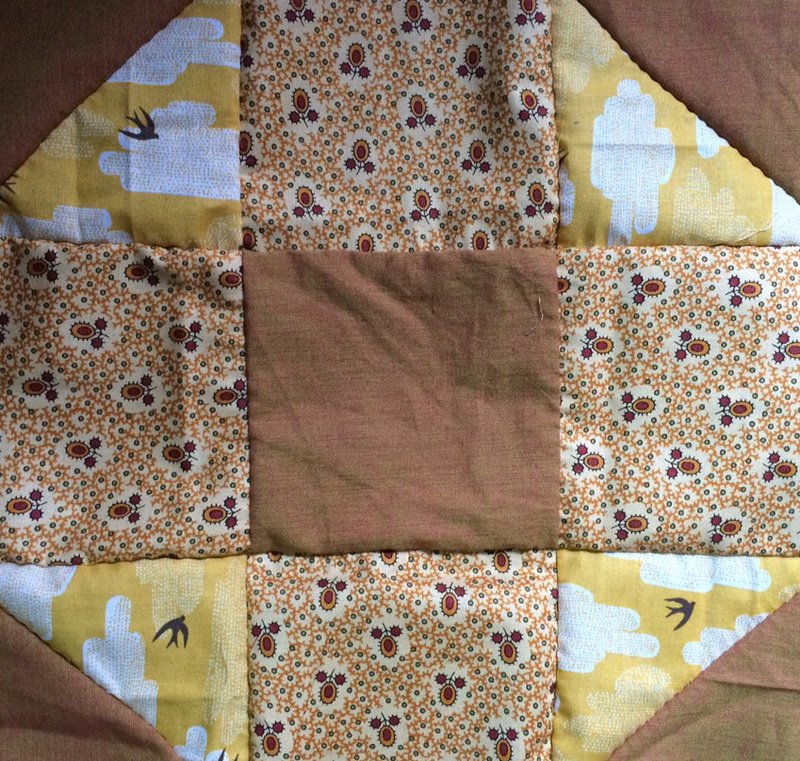 Finish quilting and making, stuff and use, PIllow #1 for a New Secret Project. 3. Piece, baste, quilt, bind, and label Beach Blanket Quilt. 4. Finish piecing, baste, quilt, and bind and gift Tattoo Trade Quilt. 5. Piece, baste, bind, and label Bright Triangles Quilt. 6. Start, piece, baste, quilt, bind and label OC/GC Baby Quilt. Not a single one of these projects got finished and many were not even touched. Some new projects were started, so the list for Q4 will look quite different! 1) Finish quilting, bind, and label Quilt for Grandma Doris. I won't get this one done in time for her Bday on Nov 6 (89!!) but I might be able to get it done for xmas. 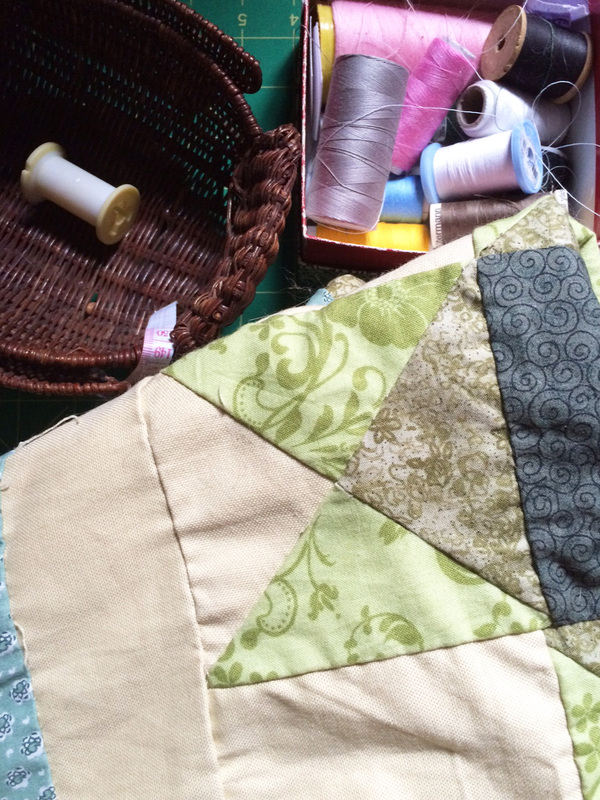 2) Finish quilting and making, stuff and use, PIllow #1 for a New Secret Project. I'd love to have this secret project moving along by Jan/feb. Finishing this is the first step! 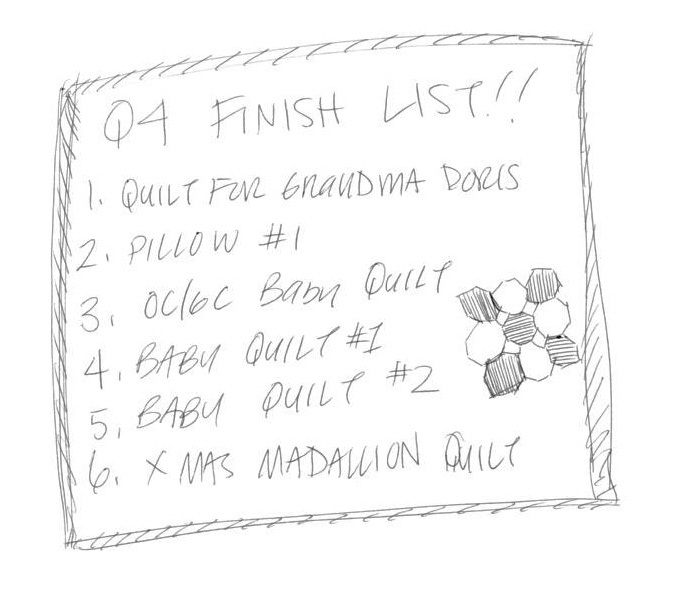 3) Start, piece, baste, quilt, bind and label OC/GC Baby Quilt. Needs to be done by Feb. No Spoilers. 4) Piece back, baste, quilt, bind, label Baby quilt commission #1. This one HAS to be a Dec finish. So, really, this should be in the number 1 slot. 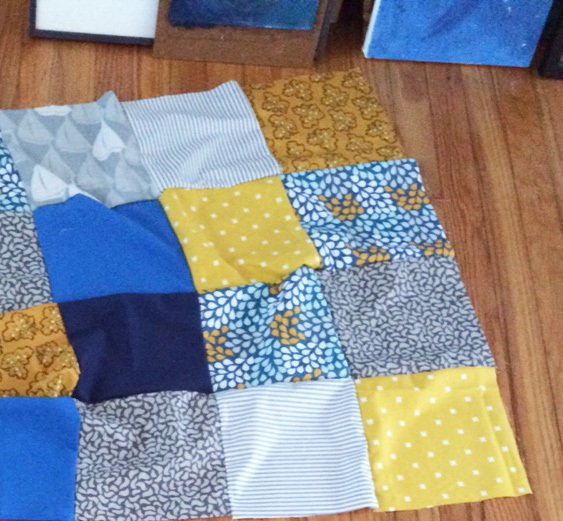 5) Finish piecing front and back, baste, quilt, bind, label, baby quilt commission #2. This one isn't needed until April. Phew. But I do want to get a jump on it. 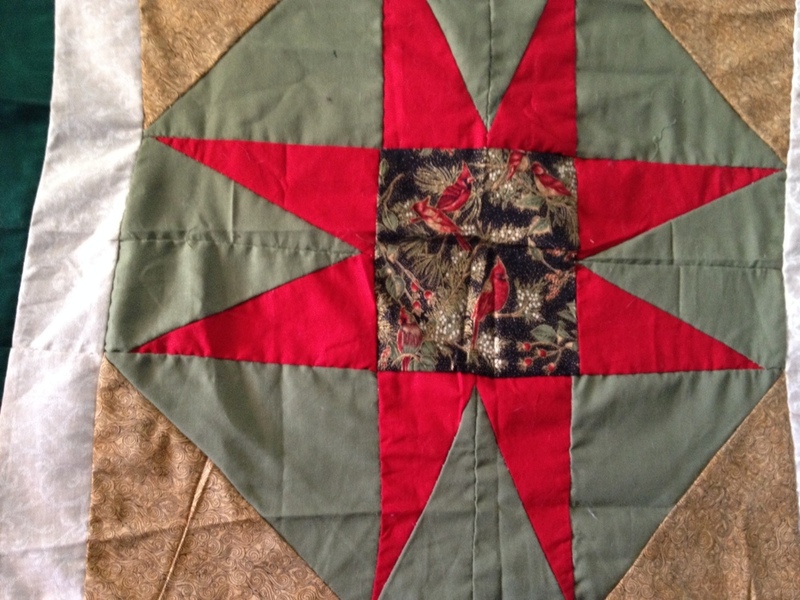 6) Finish piecing front, piece back, baste, quilt, bind Xmas Madallion Quilt. Linking this post up with Kathy's Slow Sunday Stitching . Recently Researching: 2015 Goal House Plant Edition. Part One. I wasn't sure where to put this blog topic... I could put it under 2015 goals bc taking care of my house and plants is a big goal for me this year. Or I could put it under Recently Researching bc, well, it's something I've been researching lately... So I kinda did a mash up of the two! I couldn't think of a super catchy name for it, tho. I think every house should strive to have three things: cats, musical instruments, and plants. Luckily, I've got all three covered. In effort to take better care of the plants I have (and therefore feel justified in getting more! ), I've been researching my house plants. This is something that seems like a no brainer, but I've never actually done it before. I always claim to have no green thumb and maybe this is partly why. Here's a rundown of some of the plants I have, as well as some facts, and care for each. Aloe - This guy's a succulent, but I often forget that. That means that this soothing medicinal plant should be watered well, then let to dry completely before watering again. Aloe should be kept in bright light and a small pot, as it enjoys being root bound. Aloe's healing properties are well known, but I can never bring myself to break the leaves when I need to treat a burn or scrape. I keep a bottle Aloe Gel in the house for that instead. Did you know that Aloe actually refers to a whole genus, so the typical plant we see is sometimes called "true" aloe. I've had a few different aloe plants, and I think my problem is that I over eater them. I moved my current plant to the brightest window, and am trying to make it flourish, but at the moment, it's kind of languishing. Schefflera/Umbrella Tree - Again we have a plant that is commonly called by it's genus, but the big type we see in pots are usually the Schefflera actinophylla. This plant can grow quite large and full and flower when in the right environment. It can live in medium indirect sun, but prefers bright light. This plant should be watered well, then it's upper soil should be let to dry before watering again. If it's leaves turn yellow and fall off, it's under watered. If they turn black and fall off it's been over watered. (Mine tends to have the former problem). When we moved to Park Slope and into a larger apartment, I searched Craigslist for some larger plant and found the schefflera I currently have. We had a harrowing but memorable drive thru the neighborhood with it propped in the back of our truck. I call it our "bedroom tree" (every bedroom should have a tree!) and it's about 7 feet tall. The family we got it from said it was about 8 - 10 years old, then, so now it must be about 12 years old or older! We repotted it once, and it's not living it's best life. Sometimes it grows the cutest little baby new leaves, but mostly it just hangs around looking droopy. I've been trying to water this guy more regularly and I think it'll benefit when we open the windows so it can get fresh air and more light. Pothos Epipremnum Aureum - This is the most commonly seen Pothos, which has shiny light green, or variegated light and dark green leaves. The standard pothos grows well in low light, and is super easy to maintain, needing water only when it's soil is about 50% dry, or even dryer. Leave will yellow and fall if left too dry for too long. These plants prefer warm climates and will die if left to get too cold. Pothos prefer to be root bound, sending out long tendrils which can be pruned, or coiled to keep the plant bushy. These easy houseplants keep the air clean, so are good to have on hand, but can be poisonous to cats and dogs, so keep in a safe place! I have quite a few of these guys, and most do really well. One was left by an open window, got too cold and is on it's last legs. One has some sort of white mildew which my schefflera also gets. I've found that giving it more sun after gently wiping away the white powdery substance usually solves the problem. Sometimes I forget to water them until I see the leaves start to droop. I'm trying to avoid this, but haven't had any dies like this. I've tried to propagate cuttings from some of my Pothos with mixed results. Some start growing roots right away and live long lives, but others fail completely. Growing new plants from cutting is a goal for me with these. My cats don't bother these plants much, so I don't worry about them, but I do try to keep them in higher places, if possible. Rubber Plant - This plant (ficus elastica) used to be grown for the rubber that could be made from it's latex which is like sap, but separate. Now it's mostly a decorative plant and it's cousin the Para Rubber Tree is grown to make the rubber we use today. These two trees actually have a different genus and the house plant is more closely related to the fig tree. It likes indirect light and does well in low, medium or bright as long as it's not direct. They don't need too much water and prefer it a little dryer in cooler climates. The leaves can yellow from being over or under watered but usually fall off if overly saturated. Rubber trees can grow quite large and get nice think trunks. This plant prefers warm temperatures and will die in cold weather, but overall I've found them to be quite hardy! My rubber trees are my longest lived plants and I always have to stop myself from getting more and more of them. They are so easy to care for and lovely to have around. I do need to tie them up better as their branched can start to get wild and out of control. And I need to dust their leaves more often (or ever) bc it's better for them to be dust free. I've learned a lot about how to care for the house plants I currently have. And this is only the first installment. By my count, I have 9 or 10 more varieties to learn about! I feel that when I am better able to take care of my plants, I will be ready to get more. Hopefully by that time, we will be living in a more light soaked home and one where my plants can spend some summer days outside. Even house plants like a field trip! Do you have an tricks or tips for these house plants? If so, I'd love to hear them in the comments! Check out my pinterest page for more on these and previous Recently Researching topics. I'll be breaking down what I want to get done for each goal over the year and posting updates. The first goal I want to address is Sewing/Blogging. What's pretty straight forward about this goal is that I want to sew more! All the time if I can. So that's the first big step. +Get out all my WIPs and get things finished! Like other quilters/sewists, I love to get things started, try out new ideas, and get easily distracted by all the pretty fabrics! But I also love to put the finishing touches on my work. In a lot of ways, I like it even better bc I know that this thing that I made can now get used! +Set up trades, join swaps, get ready for markets. Just generally get more motivated to work, work, work! +Join in. I have already joined Adrianne's (On The Windy Side) Finish Along. And I plan to join in more with the quilting community this year, both online and IRL. +Generally make sewing, and my artistic endeavors, more of a priority and focus in my day to day life. How this will happen, I'm not sure... But I have a whole Goal dedicated to it, so look out for updates. +Print my own fabric. I have been wanting to do stamping or screen printing on fabric for a while! +Learn new blocks. I've been taking screen shots of so many blocks lately! I have to start a pinterest board just for them! +Do some dying. I'm so inspired by dyers (like Folk Fibers)! I feel like all these things and more will help me sew more. +Set a time to to read blogs, set a time to write blogs. I usually check the computer before I go into work (unless it's one of my early days). I get my coffee, check out my favorite blogs, and pet the cats. This isn't such a bad routine. But sometimes, I'm short on time, I'm also writing work emails, I'm thinking about other things.... etc... Sometimes I write something, sometimes, I don't have time. I think it would be helpful for me to make the effort to get up a little early on "blog" days, stay focused and make an agenda of what I want to get done. Maybe plan to check blogs 4 times a week, and write blogs 2 times a week, get up early on those days, carve out that time and give it the care and consideration of work (not just lazing in front of the computer). +Comment more. If I'm reading blogs 4 times a week, I should make sure to comment at least once a day. +Set content. A lot of the blogs I love have set entries that they write every week. I love Reading My Tea Leaves' column My Week in Objects (Mostly), Little Green Shed's Nature in the Home, and of course Kathy's Quilts Slow Sunday Stitching. To name a few! I want to come up with a few things I would like to write up every week. I'd love to hear ideas from my readers! And the last part of this goal for me (for now) is selling. I don't make my work to sell necessarily, I make it bc I love to make it. But I like the idea of selling my quilts, sewing, and arts. One of the things I enjoy about sewing is making things that are useful. I want people to enjoy and use the objects that I make. I love to see family and friends using items I have gifted them, but I would like to reach as many people as I can! +Update my shop more often. This is a no brainer. I have to stock my shop, and keep people updated on what's there! +Do giveaways and collaborations. I have a few giveaways planned for this year. I am in talks with a few artisans about some work we can do together. +Sell at markets. I have some leads on this, too. It's hard for me, just starting out, to psych myself up for this... but I have to make this commitment! +Expand my social media network. I'll have a post about all the places you can find me soon. So I think that covers a lot! I have a lot of plans and goals for the year where sewing and blogging are concerned, and I'm excited. It helped me a lot to hear other peoples goals for the year. 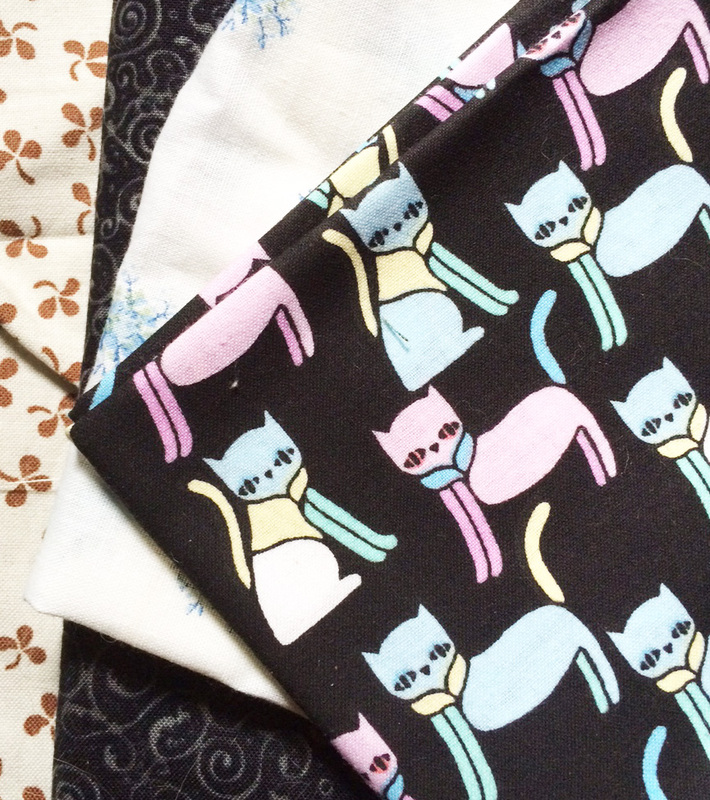 Does anyone out there have some sewing goals for 2015? Share them in the comments!! Right around the beginning of the year, I was not going to write any goals for 2015. I never like to make resolutions, bc they sound like a punishment. Something you have to do, resolve to do,, not that you aspire to do. I do like to make a list of goals to keep in mind as I go thru the year. This year, I wasn't feeling it. Until about the second week in January. And then I started thinking of all the things I want to accomplish this coming year and how nice it would be to have a list to refer to. Not only did I end up creating a list, but I ended up with quite a long one. Bc it is so long, I will only write the broader concepts here and plan to make more detailed entries going forward. I feel better already. Having something to read and refer to, I feel more confident I can see some of these goals come to fruition. I look forward to expanding on what I have written here in future blogs and can think of some fun ways to do so. I've enjoyed reading people's goals. Reading them helped me compose my own. If you haven't written any, I suggest doing so here in the comments.